At Just as Planned we love a unique and beautiful wedding and the wedding nuptials of Vanessa Williams and Jim Skrip on the 4th of July is no exception. What I personally love is Vanessa and Jim chose an Australian company to design and create their wedding invitations. 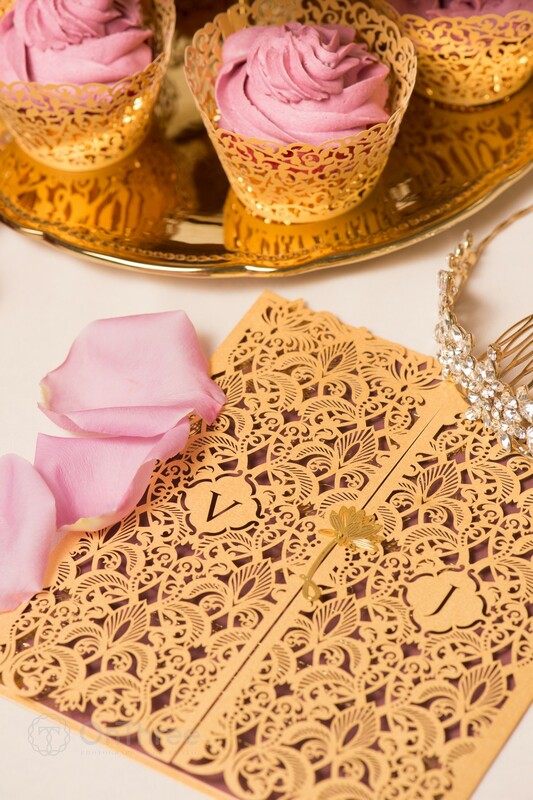 The Egyptian-themed wedding was held in Buffalo USA. The wedding ceremony was held at St. Stanislaus Roman Catholic Church and the reception at The grand Statler City. Complete with belly dancers and drummers, this wedding was filled with music and love. Giant Invitations were personally contracted by Vanessa to design her Egyptian-themed invitations for her wedding that took place in Buffalo on the 4th of July. Vanessa was so pleased with the outcome of her invitations that she has given Giant Invitations access to her exclusive wedding photos. I am extremely excited for Just as Planned to showcase these fabulous invitations. The team at Giant Invitations first needed to understand the tone in which Vanessa wanted to set for her wedding day. By gaining an insight for this they were able to capture the formality and ambiance needed in order for them to begin our creative processes. Giant Invitations asked Vanessa to create a Pinterest board where she can pin all her wedding inspirations. The pins consisted of her desired styling, wedding theme, décor, etc. 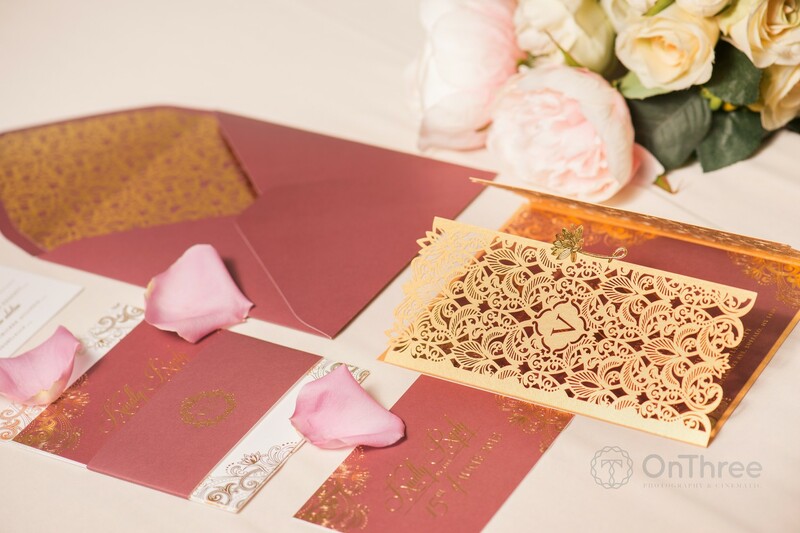 All these elements were essential in contributing to the designing and outcome of her wedding invitations. After initial communication between Giant, Vanessa Williams and Jim Skrip, we finally locked down the colour scheme. 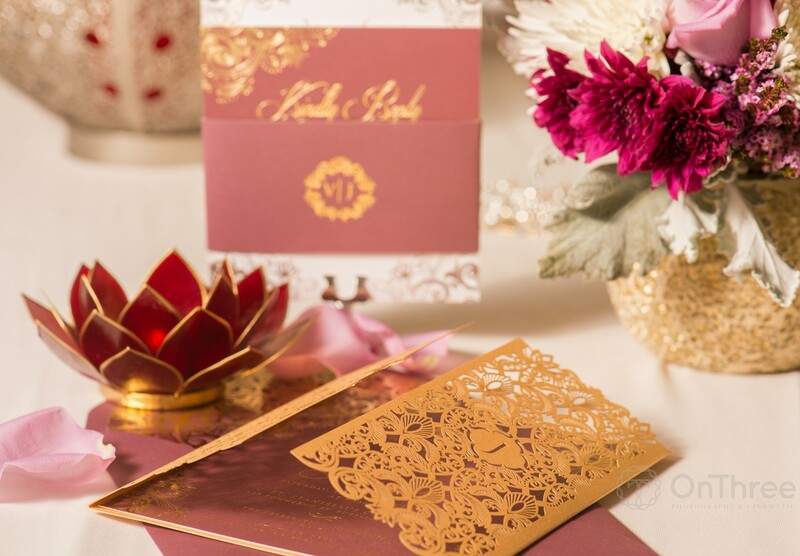 Implementing some burgundy with a gold contrast to match their Egyptian floral theme; our designs were set to match their nuptial celebration. Giant came to learn that their romantic Egyptian floral theme was actually a representation of their international love affair where the couple met in Egypt three years prior to their wedding. With this in mind, we were adamant that this needed to be a very special design. 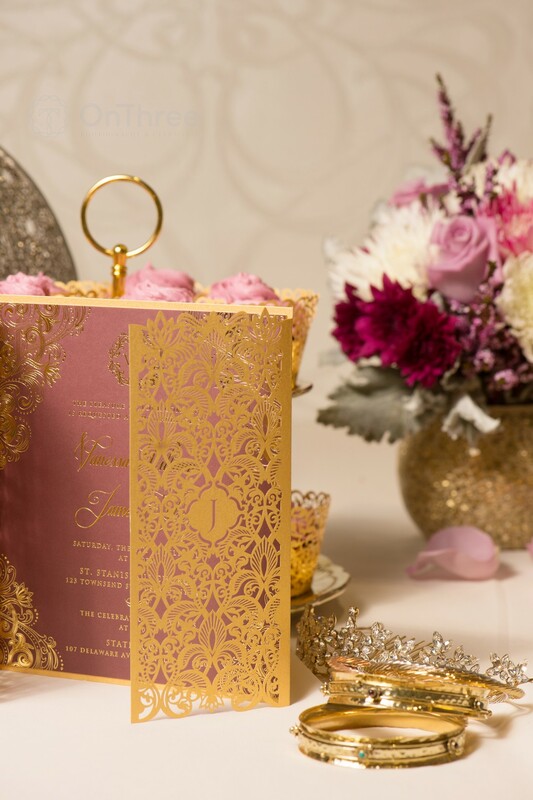 You can read more of the design process here from Giant Invitations. With only a few weeks left of winter I am so ready for the warmer months to come our way and I am looking forward to adding in some colour into the wardrobe. I was inspired by the fabulous gowns from Weddington Way, to style a perfect summer date outfit. To start I could not go past this beautiful emerald green halter full length dress in lux chiffon featuring a shirred bodice and a set in waistband. We have added some Just as Planned style and accessorized with dazzling gold. Hi! I’m Jane Yang and I’m a wedding designer and dressmaker in vibrant Brisbane! The passion for creating beautiful gowns and dresses has been in my family for generations – mine, in particular, handed down to me by my mother. One of my fondest memories of this blossoming devotion to dressmaking was when I began sewing my father’s trousers at the age of 14. I was a young girl, just learning the trade, but I was quick to make clothes for everyone in my family – as well as the entire neighborhood! Many years later, I found myself working in the fashion industry. I had an eventful career and moved on as a pattern maker in some of Australia’s most prominent fashion houses. I thought I was on top of my ambition but soon I realized I wanted to be as hands on as I could… to give my clients a chance to wear couture pieces without the couture prices. And so, Bluejade was born. In my joy to clothe uniquely beautiful women of all shapes and sizes, I finally took the courageous next step in my life and created my very own wedding dress boutique. Bluejade is my playground where I create elegant wedding gowns that integrate classic and contemporary styles for the bold modern woman. It wasn’t just THE dream job. It was MY dream job. And I finally did it because I was inspired and looked ahead. I never would have expected that little 14-year old Jane would give me the life I wanted. And with her, I am forever grateful. Jane Yang, owner of Blue Jade and designer and dressmaker in South Brisbane. She specializes in elegant wedding gowns and dresses of the highest quality materials and created with the most intricate details. She values each unique client’s personal style and aims to customize each gown to flatter the bride best on her special day. Blue Jade also offers ready-to-wear formal and evening wear, free wedding consultations, made to order wedding dresses, bridesmaid dresses and mother of the bride dresses. Like most elements of planning a wedding, choosing the right venue can seem like an impossibly overwhelming task. Add in the fact that the location makes a huge impact on the overall tone of your ceremony and reception, and there’s a lot of pressure on one decision. So how can you make sure you get it right? We’re glad you asked! Spoiler alert for when you start looking at venues: there are a lot out there. Researching and trying to nail down a shortlist can be the source of one inescapable headache. That’s why enquiring about availability on your special date from the get go can be such an advantage. Most popular venues have quite a waitlist, so knocking out the ones that aren’t going to be practical due to unavailability can make the decision process a lot easier. It also ensures you won’t get your heart set on somewhere only to have your world come crashing down due to a calendar clash. 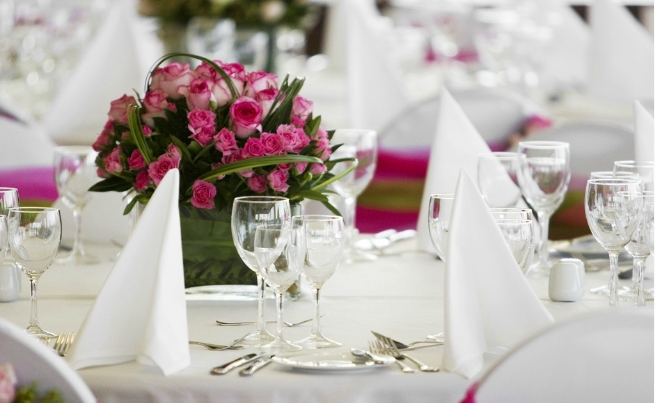 A major factor that couples consider when booking a venue is cost, for obvious reasons. What they might not consider is how much that cost can influence the effort you’re going to have to put in. You’re already busy planning every painstaking detail of your wedding and reception, so chances are you don’t want to be too hands on when it comes to making your venue look great. That’s why sometimes it’s better to resist the temptation of booking a function hall lined with felt walls and white trestle tables under the pretence of “we can spruce this up!”, and go for a venue that’s already established with a décor that you love. This might seem obvious, but there are some really key factors you should consider when it comes to the location of your wedding. It’s not just about where is going to have a beautiful setting for your photographer to capture (although that’s important obviously). The main thing to consider is how accessible a location is. As in, is there enough public transportation around? Or, if most of your guests are going to be driving, are there enough parking facilities? Can you budget in providing a shuttle bus from a nearby location? Your friends and family enjoying your special day is most likely important to you, so considering these factors ahead of time can really save you some drama and grumbling guests. Once you’re past the initial research phase and are starting to physically scout out venues, it’s important to make sure you visit at least once at the same time of day that you’ll be getting hitched. Things like lighting, foot traffic, surrounding noise and more will all be different depending on the time. Some venues will try to fit as many weddings in one day as possible, which means you could have another booking due before or after yours. It’s important to inquire about this and consider the ramifications when you do; what if the wedding before yours runs over time? What if yours is running over? What’s the maximum time you’re allowed to be in the venue? The better equipped with answers you are, the better you can narrow down the never-ending list of wedding venues there are to choose from. If you want somewhere that ticks all of these boxes and more, speak to Karyn at Melbourne’s The Manor On High. The Manor is inspired by 18th century French-Georgian styling and has three luxurious rooms to suit events of all sizes. Knowing your budget is critical to ensure that you know what you have to work with and gives you some idea how creative you may need to get to stick to your budget. But outlining your budget into each category (see our budget spreadsheet below), helps you understand if you can afford to bring in additional help such as hiring a catering company or if you will need to rope your friends into help you cook. 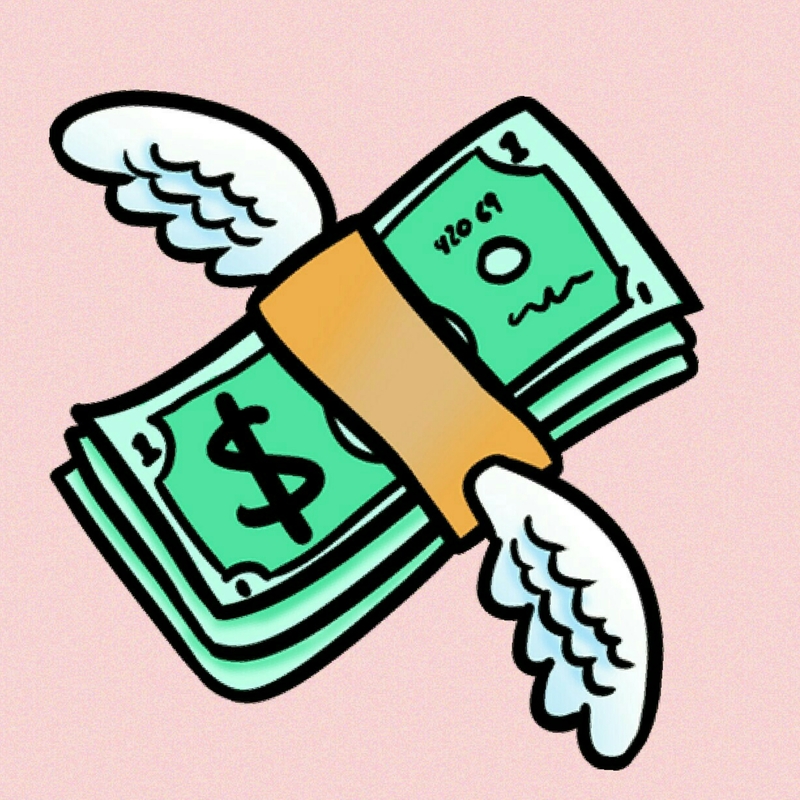 When you have your budget outlined, consider thinking about how much you are willing to spend on each item. Be realistic. It may also help if you have had a friend of family member who has recently been married to give you an estimate on what they spent. This will help you confirm that you have allocated enough in your budget or that you need trim some of the items. Here is a mock up on a simple budget spreadsheet you can create in word. Click on insert and select table. A pop window will open. In the number of columns enter 3 and for the number of rows you can enter 2 and then click ok.
Once you have your budget locked down, make sure you stick to it! This is extremely important. It can be easy to get carried away and keep adding more money into the budget, to have the best of everything however remember you are starting a new life together and you don’t want to be drowning in debt before your marriage starts. It also creates additional stress that you don’t need. Now for the fun part, how you can save $$ on your wedding. Some people think that as soon as you mention the word “WEDDING” the cost goes up. Well that maybe the case in some aspects but you must also remember that the some vendors specialise in weddings and experience sometimes will cost extra. However there are a number of ways you can save if you are prepared to think outside of the box. Photographers, florists and beauticians all start learning their craft in school and are always looking for ways they can refine their skills. You can contact your local school such as a Tafe or beauty school and ask if any of the students would be interested. You can always ask for a trial or to see some of their work. Now this can also turn into an expensive trial as you need to take into consideration trial runs and the cost of the materials. I suggest speaking to all of your family and friends and see if anyone has any hidden talents. You can have a working wedding bee and supply some drinks (be careful not to have too many as it may look good through rose coloured glasses) and nibbles and create your own favours or invitations. There a number of sites and computer programs you can use to create custom invitations. To be even more cost effective consider sending e-invites. Yes electronic invites. It will save you money on the cost of postage and printing. Making your own favours such as home-made cookies is another great way to save money. 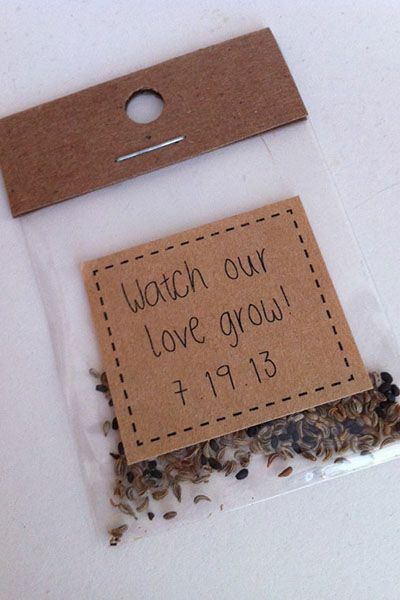 You can also consider giving every some seeds of your favourite flower and attach a hand written note “Watch our love grow”. This is where you can start to think outside of the box and have some fun. When Jaime King wrote some advice for our followers, Jaime mentioned that you can save money on decorations by choosing a venue that has lots of natural beauty. This is such a fabulous idea and I think it is one area that is overlooked that most. If you think of a ceremony venue such as rose garden, on the beach or in the botanical garden. The list is endless. Make sure you check with your local city council as their maybe a small cost involved or require you to book the space. When it comes to the reception you can add impact, and mood lighting with candles. Candles are cost effective and help create some romance. Before you start buying lots of candles, check with family and friends as they may already have some that you can use on the day. You can also use a scented candle which adds to the ambiance. 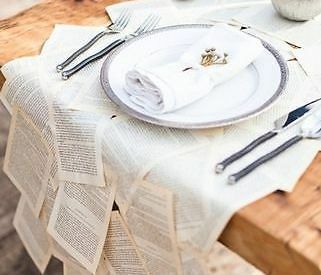 Another option is using old book pages as a table runner. I love this idea as it creates a taking point for your guests and you can find old books from book exchanges and second hand stores. It will require you be a bit creative to put it together but the best part is it can look rustic so you don’t need to be a crafter to make it. Now before you start to say “there is no way I am compromising my dress” there are still a lot of ways you can save money. Start by contacting the major wedding dress suppliers and find out when they generally have their sales. During sales you can save over $1000 on your dress. You must be prepared to buy an off the rack design and there may also be an additional cost for any alterations. This can also be a great time to pick up the bridesmaid dresses. Think about hiring. This can be a great way to save money. This should also be an option for the mens suits especially if the groom and/or groomsmen don’t generally wear a suit. Save having all the money just sitting in a closet. There are a number of wedding buy, swap, and sell sites on Facebook that you can join. Items are either new or used. You can pick up a items from decorations, candy buffet supplies (glass ware etc) to the dress. You must be prepared to check in each day to see what has been added and popular items will go very fast. Make sure if you say you will buy an item you commit to it. Remember to have fun and think outside of the box and the amount of savings are endless. This is perfectly natural considering you have to answer a million questions and make a million or two decisions about your special day and everyone will have an option (or two or three). Advice: Remember your wedding day is about celebrating your commitment to each other. Don’t lose sight of this during the planning process. 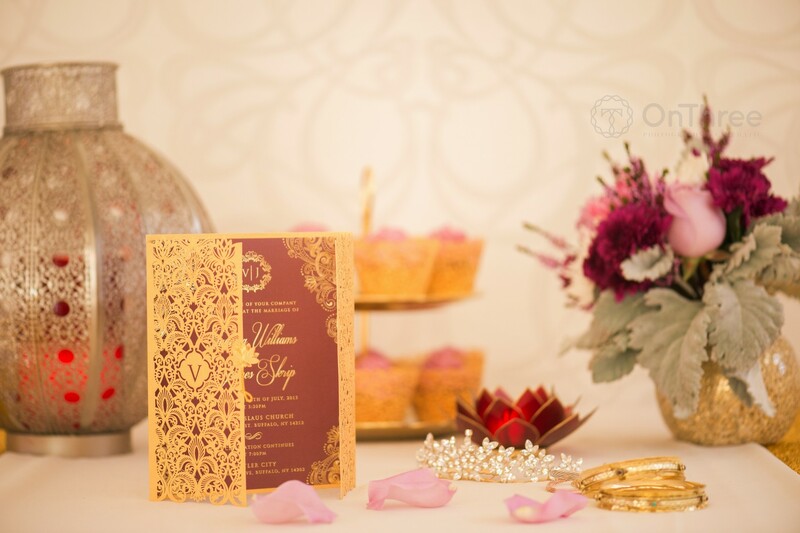 Having great vendors will make your wedding day go seamless. Don’t be afraid to check out your vendors by seeing proof of their work or by asking other vendors for their suggestions or testimonies. Always have a backup plan especially if you are planning an outdoor wedding. You can never predict the weather. Keeping track of all of the to-do tasks is not easy. Being organised is a key step in ensuring you keep everything on track. Also don’t be afraid to delegate, planning a wedding is hard work. Tip: Have a Wedding Day run sheet. A wedding day run sheet will ensure your Bridal party (maid of honour, bridesmaid, fiancée, best man, and groomsmen) and your vendors e.g. ceremony, reception venue, florist, photographer and the car hire know when and where they need to be. Most of all once you have completed your wedding day run sheet print a copy for each of your suppliers and the bridal party. You don’t get champagne when trying on your dress. 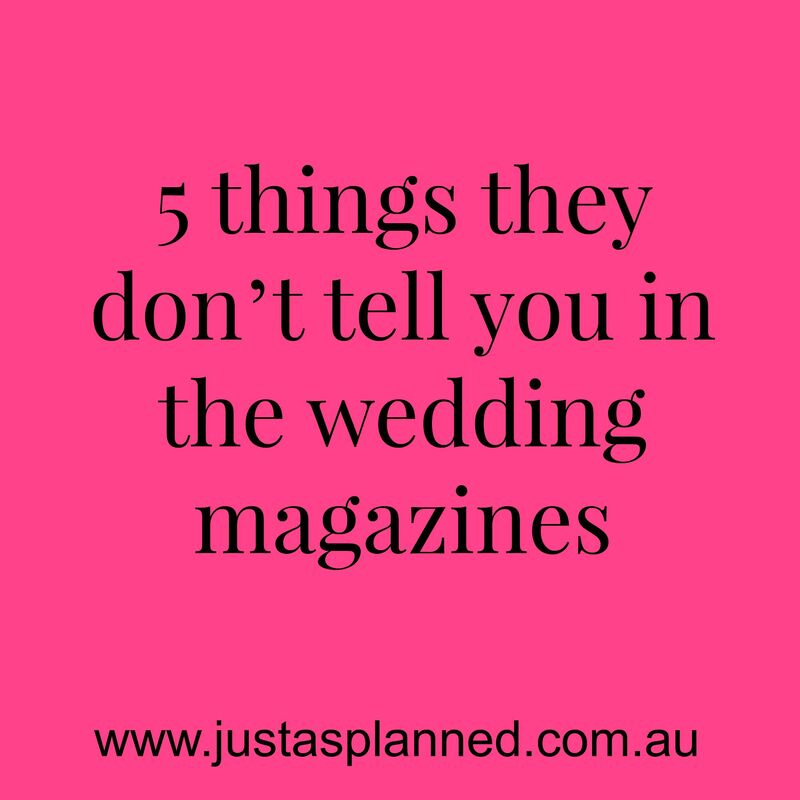 I have watched so many wedding movies and you see the bridal party sitting back and sipping on a glass of champers when in reality this is generally not the case when you are dress shopping. You will generally only wear your wedding dress on your wedding day, so when it comes to the dress fittings, take your time and enjoy each fitting and show off your dress. Tip: When you are dress shopping, take your time and don’t book in too many appointments in one day. Also allow some time at the end of the day for a well deserved break and a drink or two. We have been searching the archives and this was one of my favorite posts. Brides spend a lot of money on their wedding dress and it is important that you know how to care for your Wedding Dress. Hello, I am Rosario Intelisano, my specialty, my passion, the core of my ambition is hand restoring and preserving bridal gowns. With many years in the industry, I am excited to share with you my little black book of tips to help you care for your dream gown. As well as tips, I will include some of my personal experiences from working in this industry and the dresses (plus their stories). The second best tip is to avoid direct heat. Heat in general weakens material causing the fabric to yellow and age. This is why dry-cleaning is thought to “torture” the fabric and is avoided when it comes to restoring bridal dresses. Lastly, I would recommend you take the garment to be professionally cleaned within a month of the stain occurring, the more time that passes, the more difficult it is to remove the stain making it harder to restore the dress to its original state. I hope this article helps you next time you are in a state of frenzy from an incidental stain. Collect yourself and remember to leave the stain, let it air dry and take it to be professionally removed as soon as possible. They say you eat with your eyes and with these beautiful wedding cakes these will surely make you want to dig in. Most girls dream of their wedding day when they are young. For me I can remember dressing up my dolls and creating my own wedding ceremony and watching the classic fairy tales such as Cinderella and Snow White over and over again. I still love the fairy tales and when I look at most weddings I can see so many aspects of fairy tales included in their special day, from the red carpet, the ball gown and the flowers. However in reality there are just some things are just not possible such as blue birds helping with the veil and heart-shaped petals being thrown by mice and blue birds. Now thanks to Alena and Slava from LuxCars Developments you add in one more fairy tale aspect to your wedding day with their new Cinderella Limo. 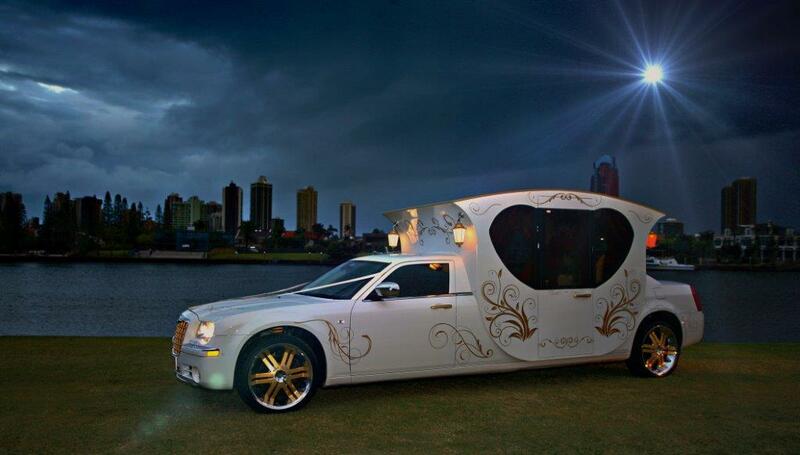 This limo is dreamy and will make you feel like a princess. Take the time to read about Alena and Slava story and see the beautiful photos of the Cinderella limo. Once upon a time, in a land filled with ice and snow, lived a young girl with dreams bigger than the cold, grey skies of Siberia, Russia. Wrapped up warm in her blankets with a book each night, Alena dreamt of a land where the sky was blue and there would be enough money for good food and nice clothes. As she grew into a beautiful, kind-hearted woman, Alena met her ‘’prince”, Slava and they were soon married. Slava treated his bride as the princess she deserved to be but unfortunately, money was tight and a simple wedding was had to be held to celebrate their love. 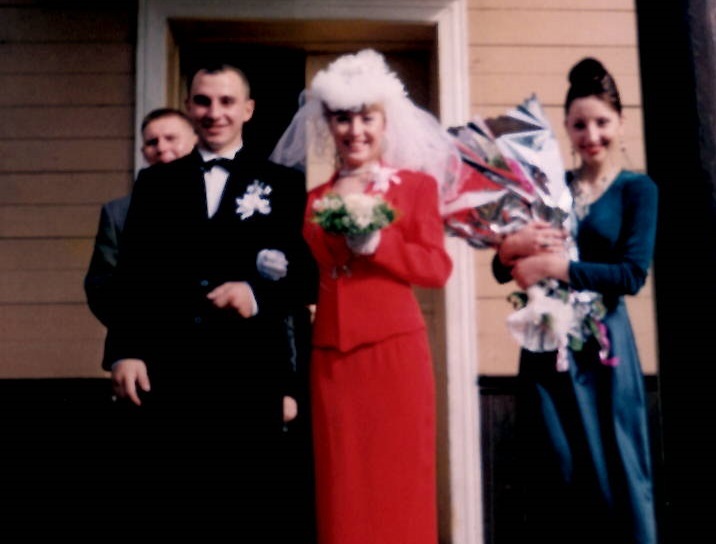 With not a white gown in sight, Alena married the love of her life in a red skirt and jacket – the best she had at the time – without the extravagance of a bridal procession or party. But Alena never stopped dreaming of that magical procession. For two long years Alena and Slava fought the naysayers of government departments and financial institutions, slaying the disbelievers to make their dream of a real life motorised Cinderella carriage come true. 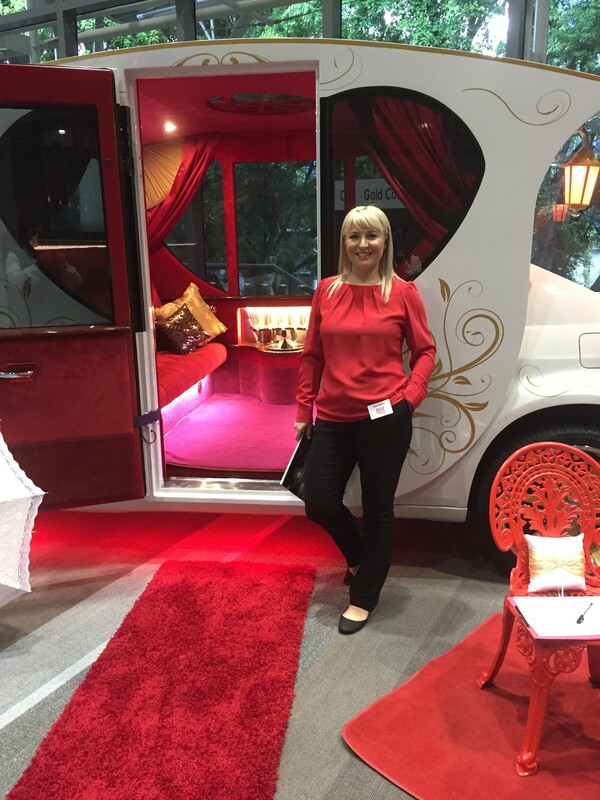 In January 2015, Alena was no longer a Princess; she became the Queen of luxury transport on the Gold Coast when her very own Cinderella™ Limousine (the only one in the Southern Hemisphere) took to the road for the very first time. 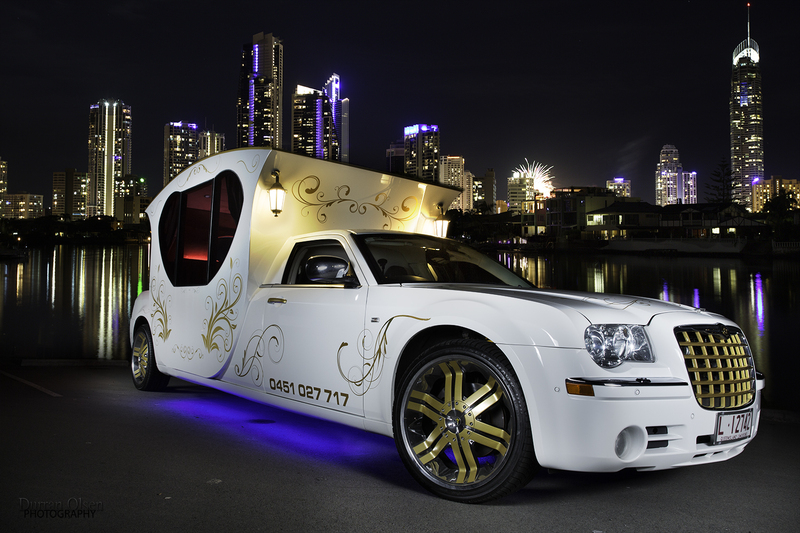 Since then their company, LuxCars Developments brings memories to lives of our people and customers, to create the unique experience that will be remembered and treasured forever with the of its kind Cinderella Limo.